So this is what you use King’s Rock for?! 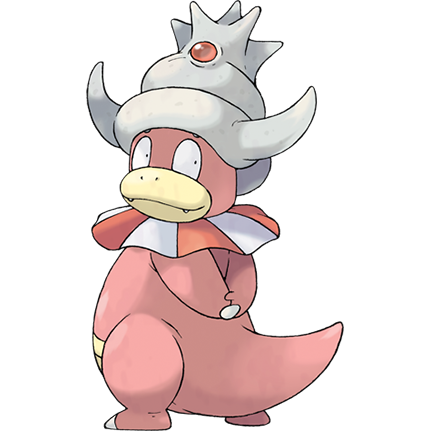 Evolving Slowpoke into SlowKing and Poliwhirl into Politoed in Pokemon Go is relatively easy once you know what you need. Both use the same method to evolve, fuelled by King’s Rock, one of the new special items introduced with the Gen 2 update. Get yourself to a PokeStop is the short answer. Much like other new items in Pokemon Go, you’ll find King’s Rock at PokeStops. Keep an eye on the seventh day of your PokeStop Daily Bonus, as this is when you’re most likely to be gifted one of five special Items. It may just be the King’s Rock you’re looking for. All you need is King’s Rock. And 50 Slowpoke Candy. Once you have them both, evolve Slowpoke as normal in the game, and you’ll see it change before your very eyes. Fantastic. You guessed it. You need King’s Rock and candy. But for this evolution you need a not insignificant 100 Poliwag Candy. Evolve as normal using the in-game menu and boom – there’s another new entry in your bulging Pokedex. While you’re here, why not check out our humungous Pokemon Go guide. You’ll learn something new, guaranteed*. * Well, we’re pretty sure you will, if not “guaranteed”.